Strictly Authentic Flavors. Good vibes. Lots of dancing. 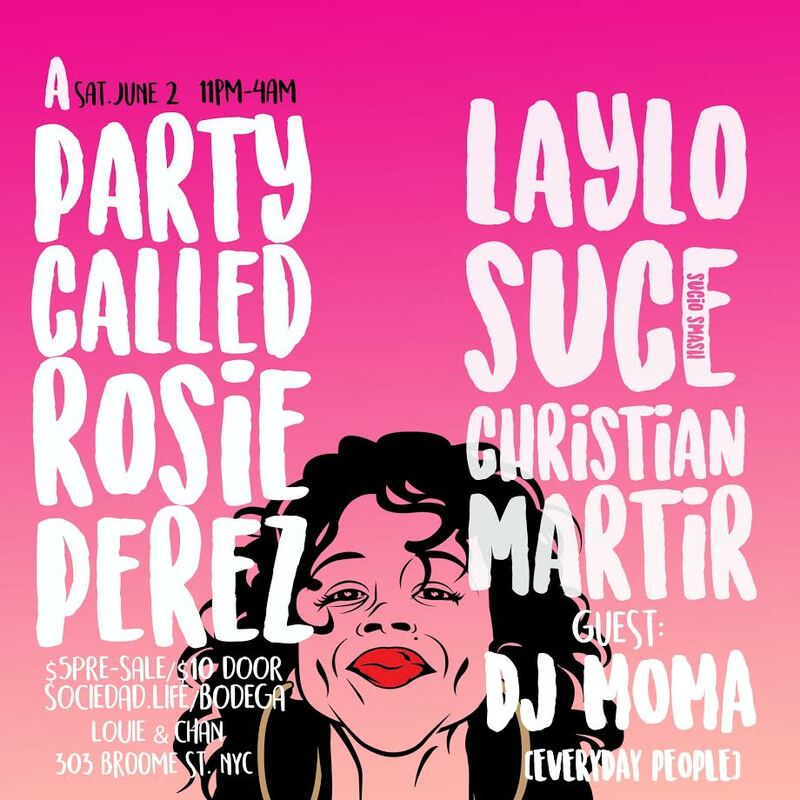 A Party Called Rosie Perez is a monthly celebration for the New York culture featuring Hip-Hop, Salsa, Reggae, Samba, Funk, R&B, Disco, Freestyle and other feel good goodness. Featuring resident DJs Laylo, Suce aka Sucio Smash, Christian Mártir with a speical guest set by DJ Moma of Everyday People.